Will a 4WD spoil the Lamborghini marque? 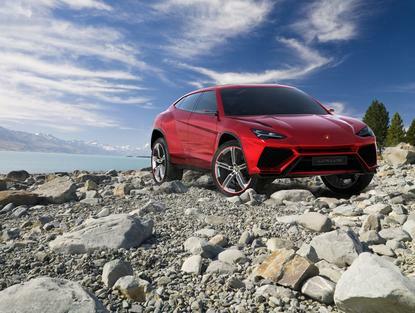 The car will be based on the Urus concept, which was first unveiled at the 2012 Beijing Auto Show. Manufacturing will take place in Lamborghini’s Sant’Agata Bolognese factory. It will almost double in size — from 80,000 square metres to 150,000 square metres — and 500 additional employees will be hired in order to meet production. The 4WD "will double Lamborghini’s current sales performance" with a projected 3000 cars expected to be manufactured each year. All of this means spotting a Lamborghini in the wild will be easier once it goes on sale in 2018. Demand will be ‘balanced’ across different geographical regions. Target markets include the USA, China, the Middle East, United Kingdom, Germany and Russia. The news comes as Lamborghini launches the Aventador LP 700-4 in Australia, a car priced from $761,000.